I love Big Macs. Big Macs are more delicious than they are pulmonarily congestive, if only just barely. Here's one on a belt buckle from the '70s. 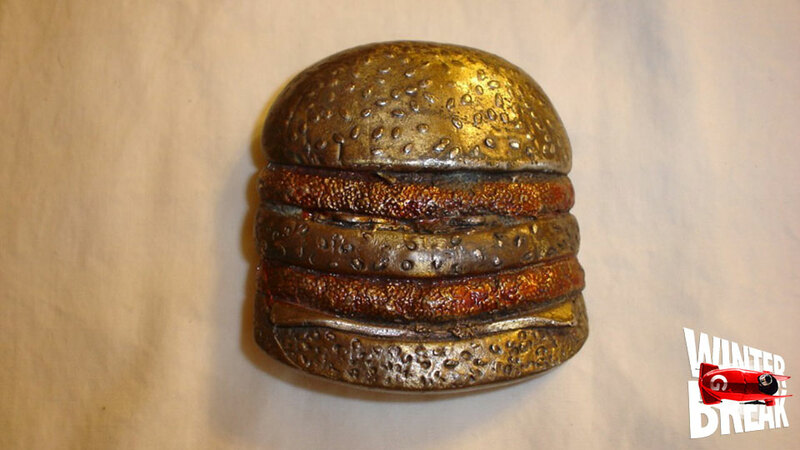 This is a limited edition McDonald's brass Big Mac belt buckle. On the back it says Limited Edition and Copyright 1975 McDonald's Systems Inc. It is still in very good condtion.